Description:In this riveting and surprising personal history, John Lithgow shares a backstage view of his own struggle, crisis, and discovery, revealing the early life and career that took place out of the public eye and before he became a nationally known star. 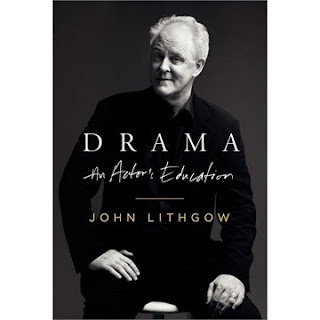 Above all, Lithgow''s memoir is a tribute to his most important influence: his father, Arthur Lithgow, who, as an actor, director, producer, and great lover of Shakespeare, brought theater to John''s boyhood. From bedtime stories to Arthur''s illustrious productions, performance and storytelling were constant and cherished parts of family life. Drama tells of the Lithgows'' countless moves between Arthur''s gigs-John attended eight secondary schools before flourishing onstage at Harvard-and details with poignancy and sharp recollection the moments that introduced a budding young actor to the undeniable power of theater. Vietnam. His involvement with a Broadway costar brought an end to his early first marriage. The theater worlds of New York and London come alive as Lithgow relives his collaborations with renowned performers and directors, including Mike Nichols, Bob Fosse, Liv Ullmann, and Meryl Streep. His ruminations on the nature of theater, film acting, and storytelling cut to the heart of why actors are driven to perform, and why people are driven to watch them do it. Yay! I'll pay the courier in wine too!